A dedicated rider, and man of God, Rev. 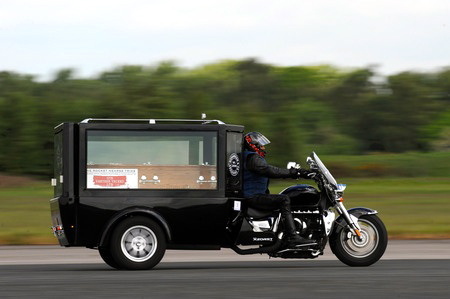 Ray Biddiss set a new world record for the fastest motorcycle hearse. 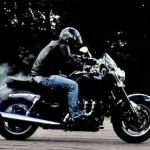 The good Reverend took his 2008 Triumph Rocket III trike/hearse conversion to 114 mph at Elvington Airfield, near York, England, on May 10, and in doing so set a Guinness World Record for the fast motorcycle hearse. 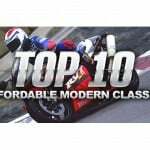 According to reports, Biddiss, 57, is a 40-year veteran of riding. 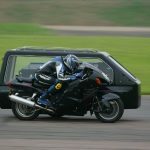 “I wanted to create the most powerful of all coffin carriers – a vehicle that maintains the integrity of a motorcycle, appeals to the most passionate of bikers and brings a credible alternative to the traditional four-wheeled hearse or other motorcycle hearse outfits,” said Biddiss in an article on the Yorkshire Post’s website. 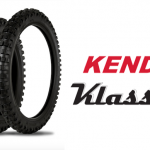 In case you’re wondering, the reverend didn’t take a “customer” along for the ride.